Interest: Dive deep into the interests that matter to you with books, audiobooks, documents, and more. Featured Reading List: We’ve collected reading lists and suggestions from some of the world’s top influencers. From authors like Elizabeth Gilbert to entrepreneurs and innovators like Elon Musk, there’s always a recommendation that will satisfy your curiosity. Trending: We are curating the best of what's trending online and around the world to help you find your next favorite read. You’ll be able to browse trending titles in every interest, which means you’ll always be in the know about the topics that matter to you. Up until about six months ago Scribd had an unlimited ebook subscription service which rivaled Kindle Unlimited. But then Scribd discovered first-hand the problem of collecting a flat fee from users and paying suppliers based on how many books were read, and was forced to scale back. 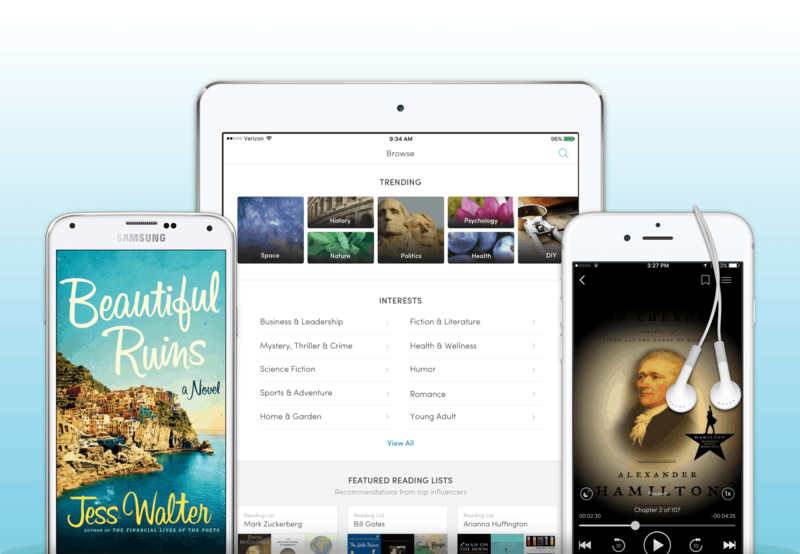 Now Scribd offers a much more limited subscription service. Do real people use terms such as “influencers” and “curate”? Did the press release really have that duplicated (“over-curated”) initial sentence? That’s terrible. That double sentence was a paste error. My fault.